While reverse mortgages are not a one-size-fits-all option, they do provide a valuable option for many people. The most commonly-used type is the Home Equity Conversion mortgage, or HECM. The program is funded through the FHA and is available only through lenders affiliated with FHA. Reverse mortgages are designed to allow older homeowners to tap the equity they’ve built up without having to sell their homes. Since there are several requirements for reverse mortgages, it pays to carefully examine them prior to making any decisions. You can now use the proceeds from a reverse mortgage to purchase a new home. Since every homeowner’s situation is different, it’s important to explore and discuss all the program’s options prior to moving forward. One of the initial requirements for HECMs is to meet with a qualified counselor who will review eligibility requirements, repayment options, available alternatives, and the financial implications involved. While the homeowner retains possession of the property, at some point the loan must be repaid, and the counselor will discuss how that process works. No one should enter into any agreement without fully grasping all the details involved, so asking questions to clarify any issues during the counseling session is strongly recommended. Don’t simply assume you understand all the nuances, as a misunderstanding can lead to problems later. Borrowers must be at least 62 years of age or older to qualify. They must own the property or have considerable equity. The home must be the borrower’s principal residence. Potential borrowers cannot be delinquent on any federal debt. 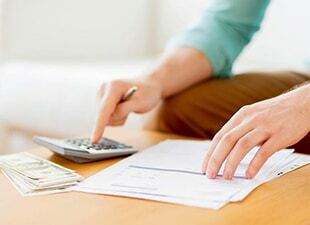 Borrowers must be able to pay taxes, insurance, and any homeowners association fees. All borrowers must attend an informational session provided by a qualified HUD-approved counselor. None of these requirements are detrimental, and each is in place to protect you, the consumer, as well as the lender. If there are questions related to these qualifications, the HUD-approved counselor or one of our lending experts will be able to assist you. How Is the Amount of Reverse Mortgages Determined? It’s really not complicated. First, of course, age is important. The amount available will depend on the ages of the borrowers, particularly the youngest borrower or non-borrowing spouse. Next, the current interest rate is a factor. Third, the amount available is limited by the appraised value of the property. Also, it’s important to remember the maximum amount available is $625,000. 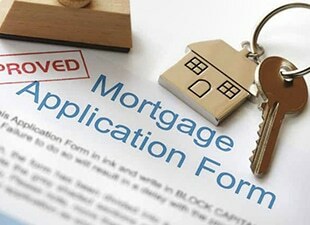 To find out how much you may be able to qualify for, get in touch with a Fellowship Home Loans reverse mortgage expert. While no one can tell you exactly how large a reverse mortgage you may qualify for without going through all the required steps, our experts can help you estimate what is likely to be approved. Like any other mortgages, all HECM loans have costs involved. They include both initial and annual mortgage insurance premiums, fees for appraisals, inspections, surveys, mortgage taxes, and other third-party fees. Processing fees will be assessed by the lender as well. There is a set schedule for those fees, which are based on the mortgage amount. Lastly, there are servicing fees lenders may charge. Those fees are capped, and cannot exceed specific amounts. While we at Fellowship Home Loans are available to answer your questions about reverse mortgages, the ultimate decision of whether or not a reverse mortgage is a viable option is always up to you. In addition, no one should enter into agreements without talking to their financial planner, as any potential tax consequences must be evaluated before any decisions are made. The simple fact is that a reverse mortgage is not always the best option, but it is always one that should be considered. It’s also important for family members to ask smart questions when a loved one is considering a reverse mortgage. Loved ones often seek the advice of the children or close relatives, and it’s important they do not attempt to answer questions without having all the pertinent information at hand. That’s where Fellowship Home Loans experts can help. We work with our clients to make sure they have all their questions answered and they’ve considered all the options to achieve their financial goals. Since a Fellowship Home Loans Reverse Mortgages offers a great option for many homeowners, it’s important to start asking questions now to determine if, indeed, a reverse mortgage would be a good way for you to secure additional retirement income. For many homeowners, a reverse mortgage can mean the difference between living comfortably and simply getting by. To find out if a reverse mortgage would benefit you, get in touch with a lending professional from Fellowship Home Loans today. We’re here for you both now and in the coming years.